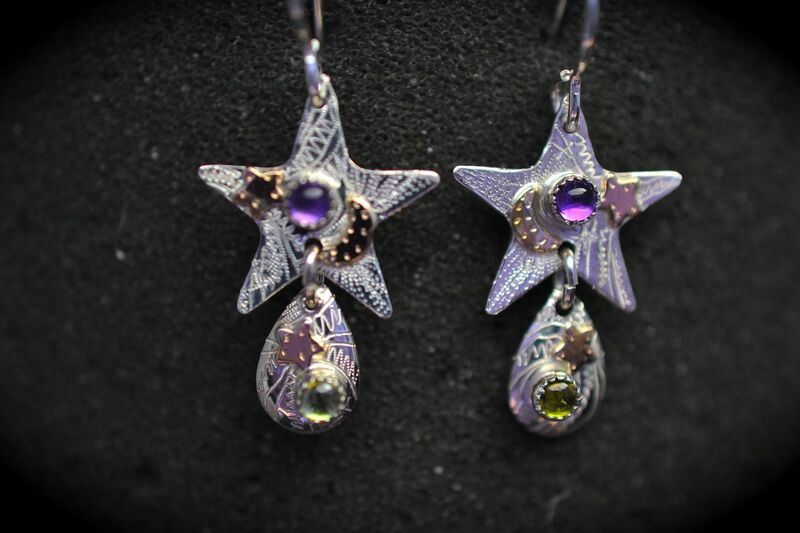 Star and drop sterling silver and 14K gold fill earrings with semi precious stones (customer's choice). Hand engraved on front, writing on back. Dangle earrings.